New Orleans police are looking for a man who may be trying to abduct his child from Lusher High School and who is wanted for violating the terms of his release after a conviction for attacking the child’s mother, authorities said. New Orleans Police are looking for a local man who currently has 3 warrants out for his arrest, and is believed to be a possible threat to the mother of his child. 38-year-old Bryant Harris is currently wanted for Violation of a Protective Order and Criminal Damage to Property. He also has a fugitive attachment from Jefferson Parish and is on parole for domestic violence. Last year, Harris served time for choking the mother of his child until she passed out. He was released in May of 2011, but immediately violated the protection order that was issued upon his release, and was taken into custody again. Last month, he was released a second time. Harris was last spotted near the school his child attends in the 5600-block of Freret Street. He has tried to pick up the child, but has not because personnel at the school know he’s not authorized. The mother of the child believes Harris will continue to try to abduct the child and possibly leave the state. As a result, the child has been staying home from school until Harris is arrested. 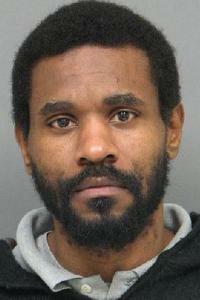 Detectives also believe Harris continues to be a threat to the mother of the child. They’ve obtained surveillance video of him slashing the tires of the mother’s boyfriend’s vehicle. Harris is 38-years-old, 5’9”tall and weighs about 190 pounds. His photo is attached to this release. If you think you’ve seen Harris, please call Crime Stoppers at (504)822-1111. You do not have to give your name, and if your tip helps lead to an arrest and eventual indictment of Harris, you could be entitled to a cash reward. They need to lock him up and throw away the key he is a very sick person.I wonder if this was his daughter that was getting attacked how would he feel ?He is not going to stop until he kill his kids mother..